Don’t you just love flowers for adding a punch of colour to interiors? 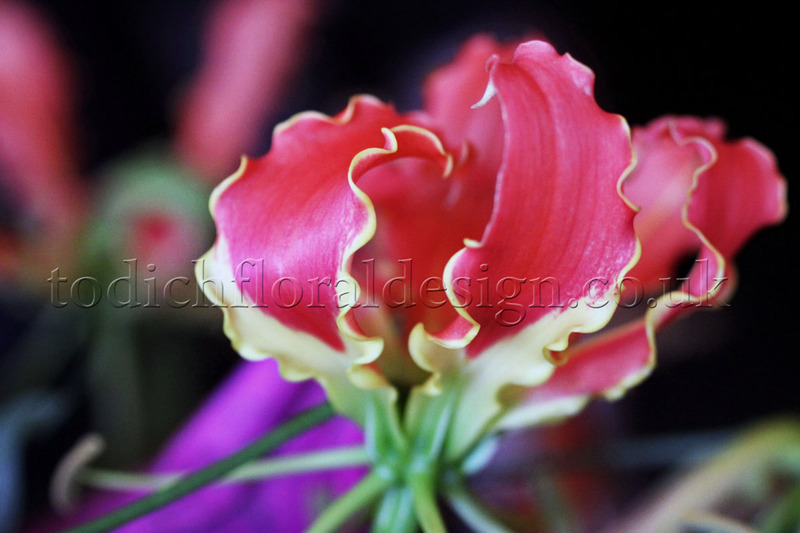 Flowers rich shades and captivating forms smell divine and the simplest way to brighten up restaurant interiors. London is filled with endless choice, countless secret gems and exquisite eateries, but the finest restaurants in England have long since fused culinary arts and interior design with the art of floral design to, deliver a dining experience worthy of the customers hard earned cash. 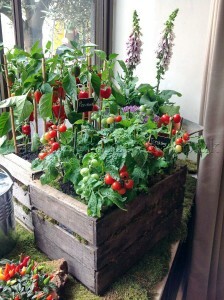 We at Todich Floral Design, just love to beautify new spaces with flowers and our team of award winning designers and talented florists have proudly assisted some of London’s finest restaurants and hotspots, including Café Royal, Mandarin Oriental Hotel and the National Gallery, to deliver memorable dining and breathtaking experiences. 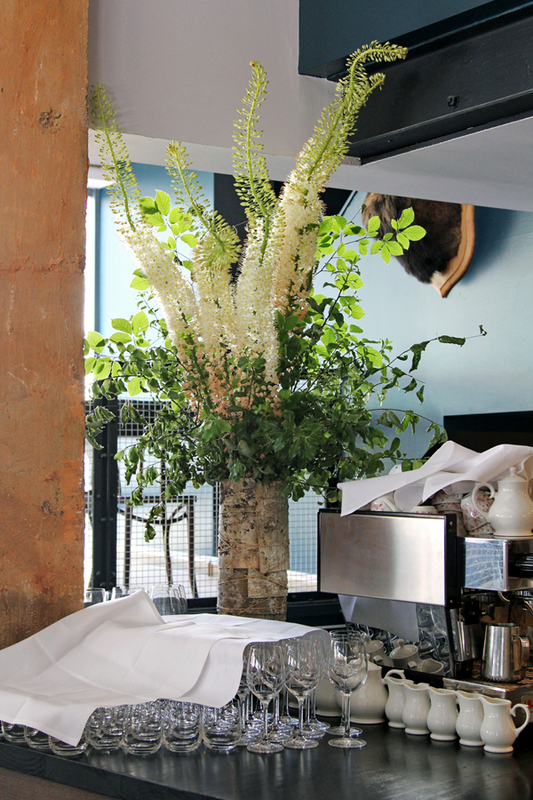 Fresh flowers work wonders for restaurant interiors. 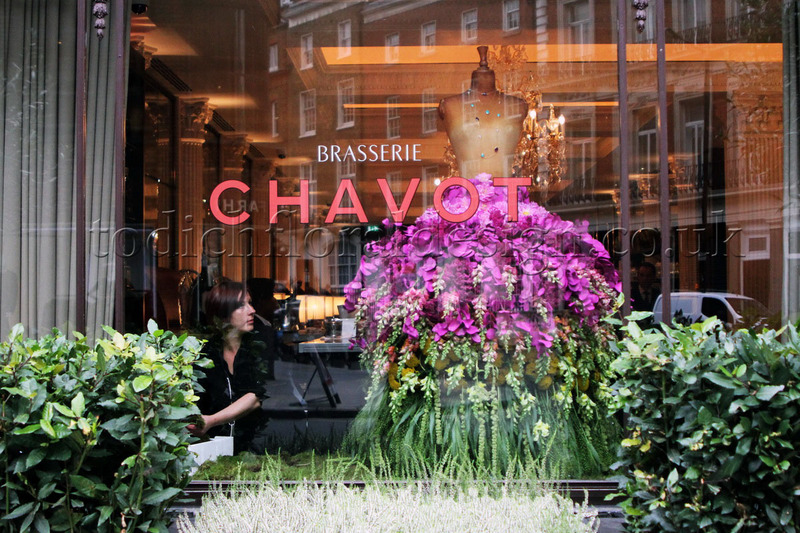 The power of fresh flowers chosen to compliment the restaurant decor and colour schemes, is its ability to uplift any space and install a warm, welcoming environment. Fresh flower's breath new life into tired interiors, go rich, vibrant shades or soft sumptuous flower designs adorn restaurant entrances, receptions or lounges. 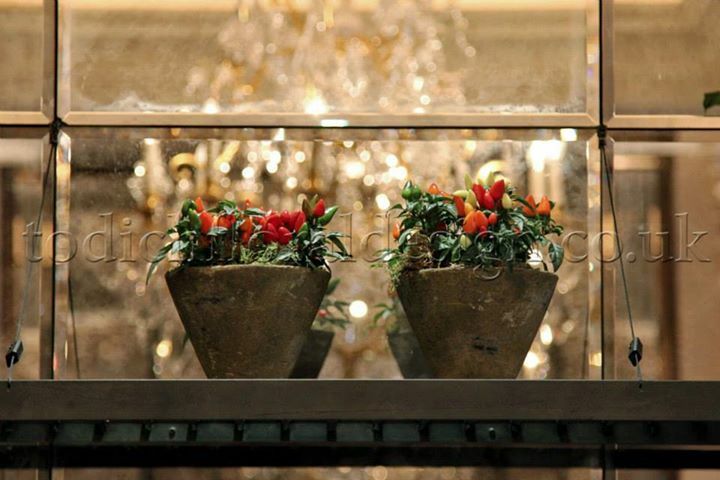 Vibrant exquisite flower arrangements make big statements, lighting moods and welcoming guests instantly. Opt for small hearty arrangements, preferably bouquets that will bloom, such as hydrangeas as if watered well will last up to two weeks. 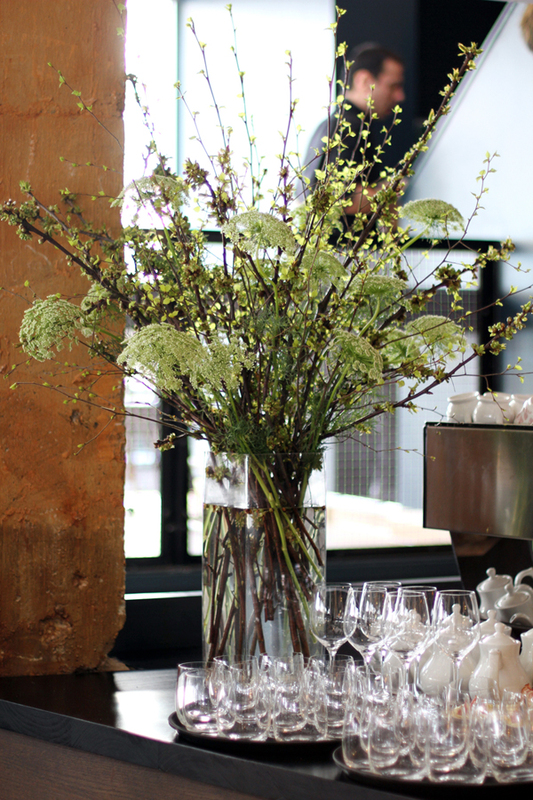 To match blooms with interiors, reach for simple flower arrangements which harmony’s and work overall decor. 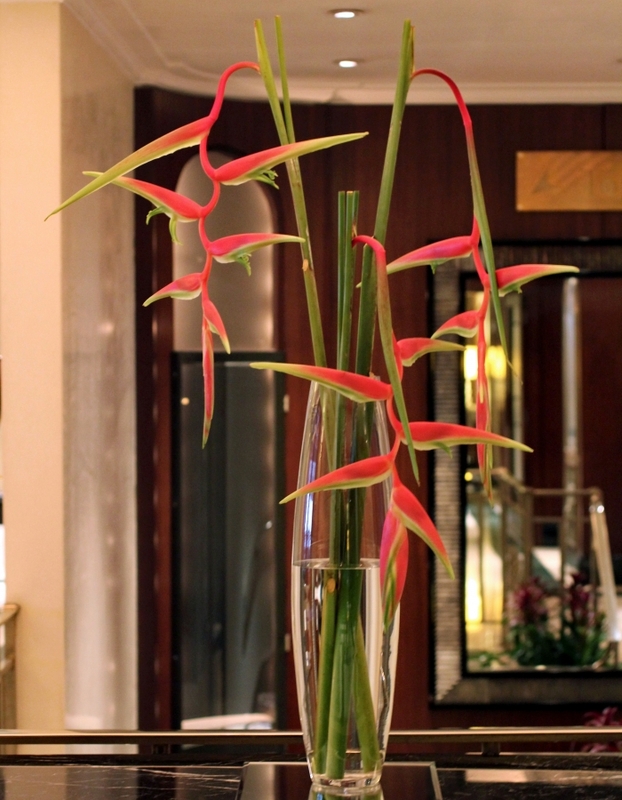 Enhance great flower arrangements with complimentary vases. 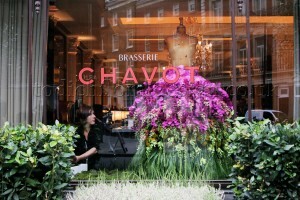 Choosing suitable vases that match your restaurants colour schemes and floral design, works well to accent interiors. The arrangements don’t always have to be extravagant, less can also me more, a single rose, orchid or daisy in a an array of colours goes a long way to compliment and brighten the decor. Making the blooms last- a little maintenance will ensure you get the most out of flower arrangements and see they last longer. 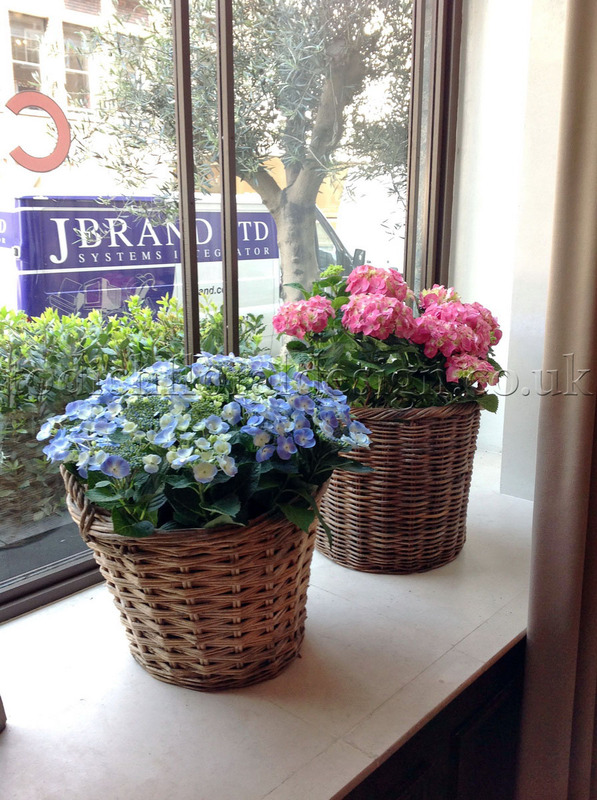 As the flowers begin to bloom, remove wilting or discoloured flowers. Water flowers daily to ensure a frequent amount of nutrients. Orchids, Tulips, Calla Lilies, Roses, Anthurims, Peonies, Hydrangeas. Flowers don’t always have to be colourful. The regale and sophisticated business owner looking to recreate live in luxury, should reach for flowers with refined, subtle tones, lead by shades of green, blue or white. A simple green or blue is so fresh and upholds a minimalist look. Or reach for pale blues, glossy whites, and sumptuous creams. 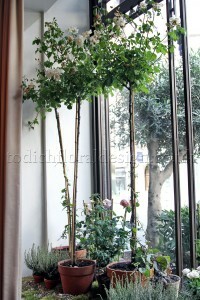 Green is so natural and so close to nature, and will accent white, grey and cream decor beautifully. Match with contemporary large glass vessels. Todich Floral Design suggests a variety of; white calla lilies, roses, orchids and peonies, paired with green or blue hydrangea, for a quaint, minimal and luxurious affair. Spring and summer never disappoint when it comes to offering an array of rich colours and what’s beautiful, and Todich Floral Design makes perfect use of spring/summer' colour palette, which offer a range of striking colour combinations, sure to make a sunny office statement. 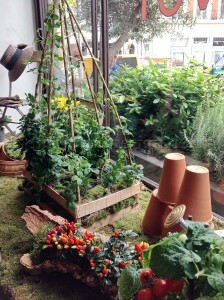 The London Florist offers the freshest flowers, at the highest quality, using on-trend floral styles to suit you. The expressive, free spirited owner should opt for a colour party, a burst of bold shades and striking contrasts. Reach for single shades in vivid shades, soft pastels or go bold with a spectrum of colours, fiery red, bright orange and yellows or, vivid violets, to shocking pinks and vibrant blues. Vibrant flower arrangements, make stunning focal points and will be a point of much discussion with your guests. 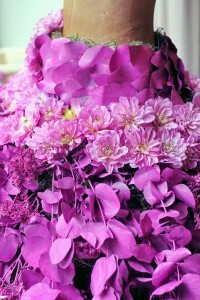 Flowers to use include luscious blooms of tulips, roses, hydrangea, lavender, peonies and wildflowers. Or how about arrangements made up of two variants of a single shade for depth and visual stimuli. 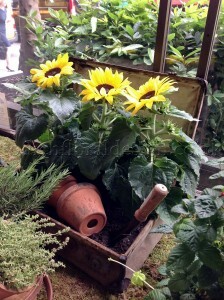 Pair with vintage or rustic vases or flowerpots to compliment and highlight your delicate flowers. 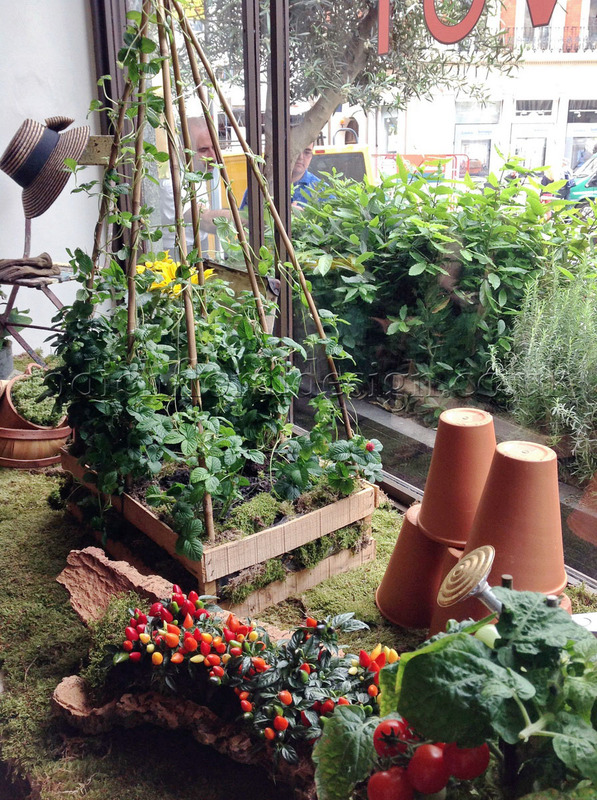 Alternatively, reach for beautiful, sumptuous arrangements. Pastel shades are elegant, on-trend this season and add a touch of colour and sophistication to interiors. Soft pastel tones include; peach, blush, plums and creams. Pastels flower arrangements work a magnificent focal point against white, great, cream or pale blue decor. Great hearty arrangements will harmonies surrounding decor and breathe life into tired interiors. Celebrate pastel shades, opt for beautiful blooms which include arrangements of soft pastel tones; peach, blush, plums and creams and forest green and prairie shoots. Think roses, tulips, hydrangeas, ranunculus and hyacinth, for a rugged, unstructured and artistic feel, all which make magnificent centrepieces and bring a touch of the modern garden indoors. If its a vintage theme you’re after, reach for an authentic feel with vintage flowers. For a blend of modern and vintage, opt for bouquets which include, clematis, roses and lambs eye foliage. 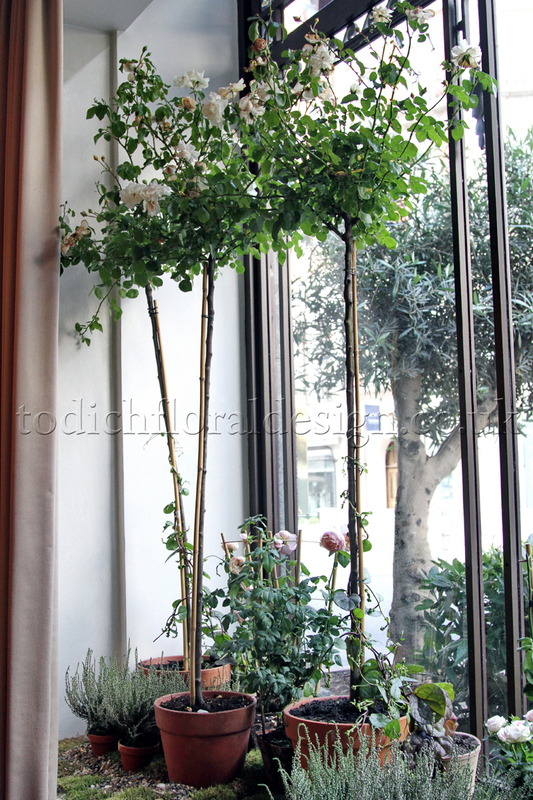 Arrangements which generally include roses, clematis, and lush forest green foliage, add texture, working as the perfect balance, for a rustic, elegant feel to restaurant interiors. 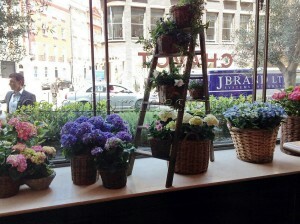 Flowers help set the mood, tone of a space, and it’s the simplest way to brighten and warm up a room. 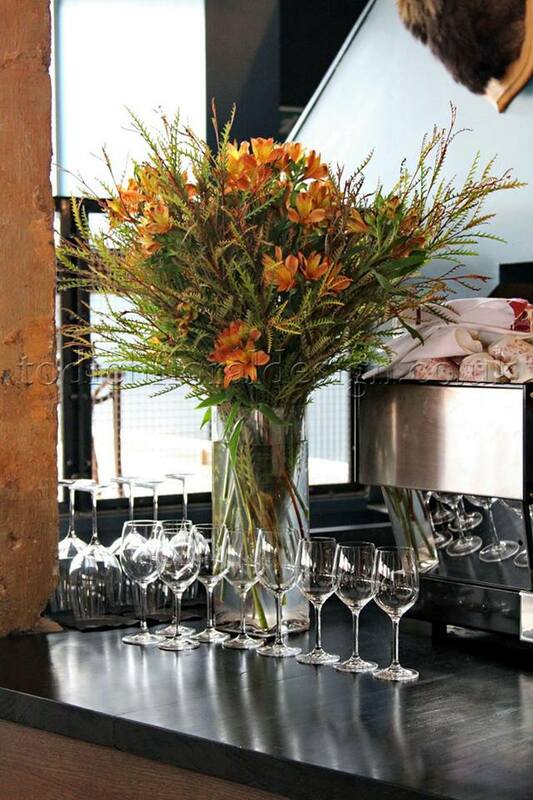 Fresh flowers will completely transform and rejuvenate your restaurant interiors. Whether you’re after pastel arrangements or bold statements, add a touch of spring or summer to your corporate space with our beautiful blooms. If you're looking to recreate any of the above, get in touch with our talented team of designers and florists, who’ll be happy to assist you create these beautiful arrangements, in a range of designs and styles suited to you.